Looking at the sector summaries, the St. Louis region is booming with facts and figures above others. 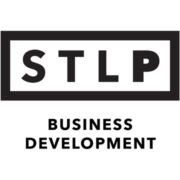 While the world headquarters for 19 Fortune 1000 companies, including Anheuser-Busch Companies, Inc., Emerson Electric, May Department Stores, Graybor Electric, and Monsanto Company, the St. Louis region offers one, simple stop for business services, foreign trade and financing. Greater St. Louis also ranks 13th in the United States as a headquarter location for Fortune 500 companies. Moreover, the city boasts three of the nation’s 100 fastest-growing companies: Talx, Panera Bread, and Engineered Support Systems, and supports a strong manufacturing sector with the three major American automakers—General Motors, Chrysler, and Ford—operating assembly plants in the area.